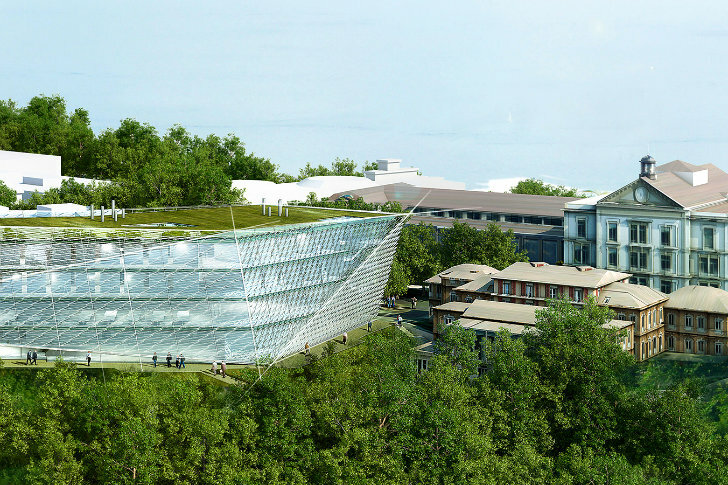 The Swiss Institute for Experimental Cancer Research (ISREC) will soon have a new green-roofed home in Lausanne. Designed by Behnisch Architekten, the Agora Cancer Center will bring together 400 researchers and clinicians to aid the fight against cancer and create a community of expertise. Behnisch Architekten's design was chosen through a multi-stage architectural competition for its holistic architecture, communication capabilities and its sustainable design. Behnisch Architekten just announced their win in the design competition for the new Agora Cancer Centre in Lausanne, Switzerland. The new centre will bring together hundreds of researchers, scientists, doctors and clinicians who need to work together and share their expertise. ISREC’s main goal was to have a building that would foster communication and Behnisch’s design was chosen because it addressed their concerns in a holistic and functional way. The new center will sit between an existing dense urban corridor and a zone of nature and seeks to address both equally and create a harmonious transition. The multi-story building features a high performance skin to enhance daylight into the entire building, while minimizing heat gain. Some zones can enjoy operable windows for natural ventilation. A green roof tops the building and provides additional recreation space. The building will make use of renewable energy and onsite energy systems to create a sustainable working environment. Construction is expected to be complete in 2016. 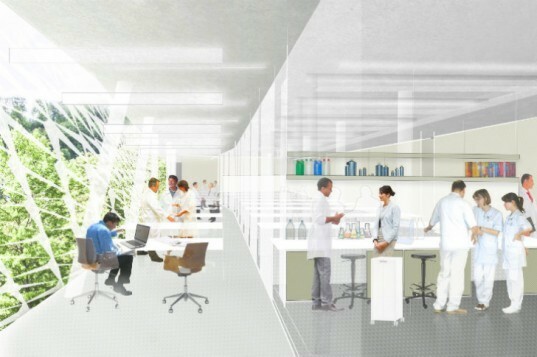 Behnisch Architektenjust announced their win in the design competition for the new Agora Cancer Centre in Lausanne, Switzerland. The new centre will bring together hundreds of researchers, scientists, doctors and clinicians who need to work together and share their expertise. ISREC's main goal was to have a building that would foster communication and Behnisch's design was chosen because it addressed their concerns in a holistic and functional way. The new center will sit between an existing dense urban corridor and a zone of nature and seeks to address both equally and create a harmonious transition. The multi-story building features a high performance skin to enhance daylight into the entire building, while minimizing heat gain. Some zones can enjoy operable windows for natural ventilation. A green roof tops the building and provides additional recreation space. The building will make use of renewable energy and onsite energy systems to create a sustainable working environment. Construction is expected to be complete in 2016.